Learn more about our diagnostic devices and workshop equipment. This is why Bosch marks common rail injectors and injection pumps repaired by an authorized Bosch diesel specialist with a special proof of quality. Common rail injectors (CRI) and common rail injection pumps (CP) are marked by specific adhesive repair ID labels, while repair ID clips are used for common rail injectors for commercial vehicles (CRIN). 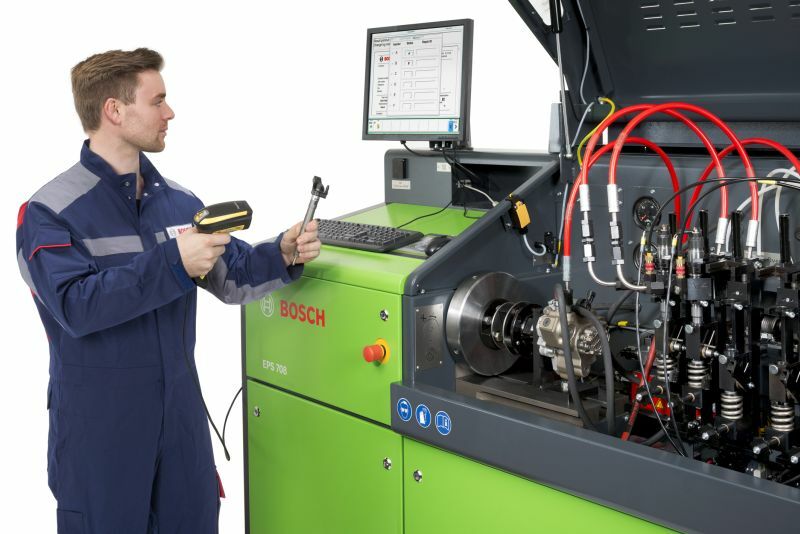 Bosch QualityScan allows you to check the repair quality of Bosch common rail injectors and Bosch injection pumps easily and quickly. Repair information such as repair ID, end of warranty, IMA identifier or contact details of the diesel specialist performing the repair can be viewed after entering the component information. The QualityScan app allows you to read repair information from your Bosch common-rail injectors and Bosch injection pumps. The app is available from the App Store and the Google Play Store.